Morris County is a county located near the eastern border of the U.S. state of Texas. As of the 2010 census, its population was 12,934. Its county seat is Daingerfield. Morris County is probably named for William Wright Morris, an early judge and planter from Henderson, also in northeast Texas. As of 2016, Morris County is no longer one of 25 prohibition, or entirely dry, counties in the state of Texas. Morris County is now "partially wet." 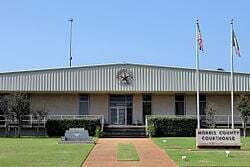 Deputy Sheriff Jess S. Henderson accidentally shot himself in the thigh in Mount Pleasant, Texas. He was transported to the hospital in Greenville where his leg was amputated. 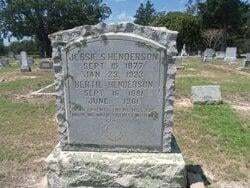 He died on January 23, 1923 at 9:00 p.m.
Henderson was survived by his wife, Bertie Henderson, and children Willie Henderson and Ruth Henderson. 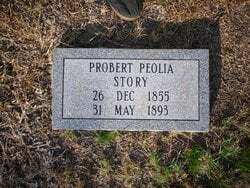 He was buried in the Omaha City Cemetery. Constable George Tucker was shot and killed as he attempted to arrest a man for the fraudulent sale of a mule. The suspect was apprehended, convicted of murder, and sentenced to death. On March 17, 1913, the day he was to hang, Governor Oscar B. Colquitt granted him a respite of 30 days. A mob, angered over the respite, seized the suspect from the county jail and hanged him. Probert P. Story was elected constable for Precinct 4 at Belden in Morris County on November 15, 1892. Belden is the present day City of Naples. Constable Story was trying to arrest a suspect who was drunk when the man resisted. Constable Story struck the man with his pistol. The suspect knocked his arm up and caused the pistol to fall to the floor and discharge. The bullet entered Story’s thigh and went upward, breaking his thigh and hip bones. Constable Story died on May 15, 1893. The suspect was never identified in the newspaper and the disposition of any criminal charge is unknown. Titus County and Morris County could not locate any records of an arrest or a trial. Story was survived by his wife Zephie and several children. He was buried in the Naples City Cemetery. Constable F. M. Ledbetter was shot and killed while attempting to arrest a man wanted for assault. The suspect shot and wounded before being taken into custody. The killer was executed on June 9, 1893. Constable Ledbetter was survived by his wife and five children.